Imagine traveling Central America and Europe, ripping around on little motorcycles less than 250cc, soaking up the culture. Now imagine returning to North America, and starting a business based on your experience. That’s exactly what Jeff Campagna, owner of Steeltown Garage Co. did. 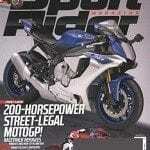 bikerMetric: Hey Jeff, let’s dig up the time capsule for a minute. 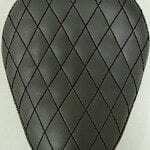 How did you get into riding? 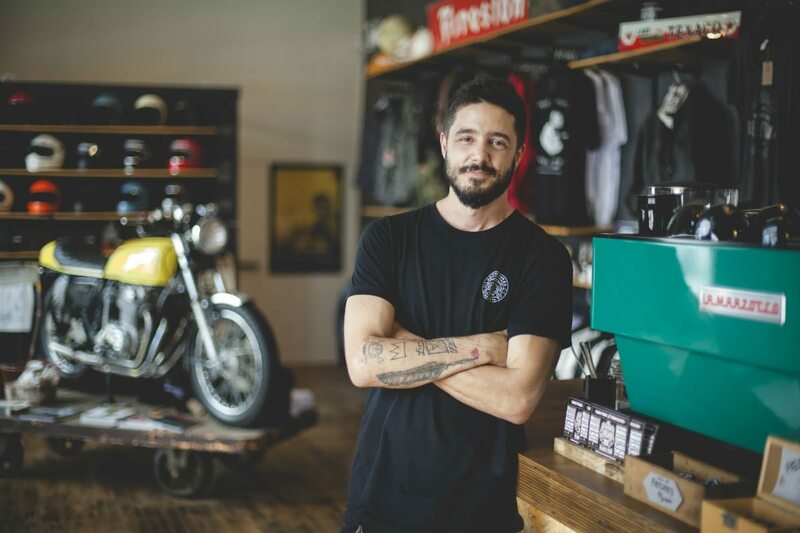 Steeltown Garage Co.: I wasn’t born into a motorcycle family. Sometimes, I wish I was because I would know way more about them if that was the case. When Tania and I started spending more and more time in Central America, it made sense for us to get a vehicle. bikerMetric: That’s your wife right? How long were you guys in Central America? Steeltown Garage Co.: Yup, that’s my wife and partner. We spent years traveling Central America, South America, and other parts of the world. 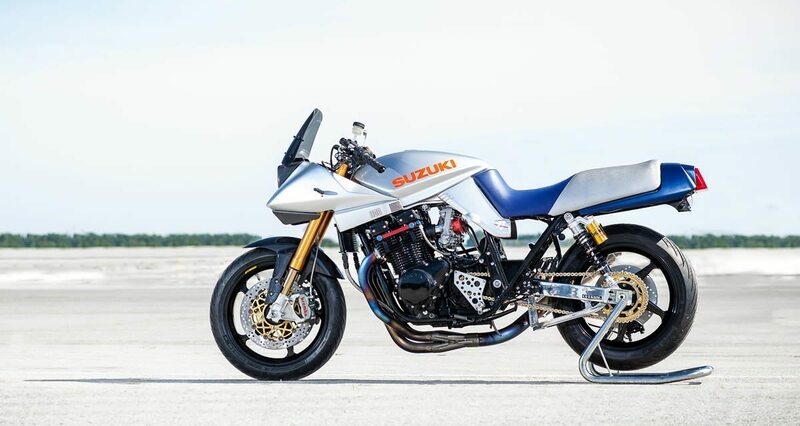 Steeltown Garage Co.: And then I’d always wanted a motorcycle, and we certainly couldn’t afford a car down there, so I picked up a cool little Suzuki GN125. 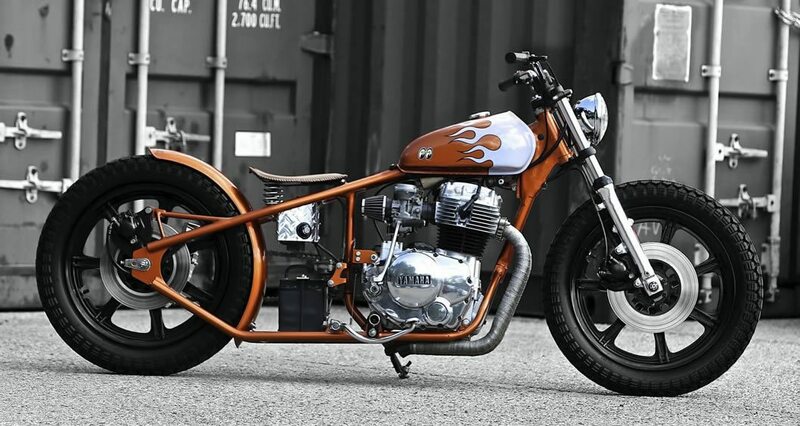 bikerMetric: That’s kinda what the aussies call a “Postie Bike”? Steeltown Garage Co.: Right. In Central America, these GN125s are used as courier bikes. They are cheap, abundant, reliable and easy to fix. After a few years, I ended up with a handful of them, and a few two stroke TS185s. That’s when I started stripping them down and rebuilding them into little cafe racers and beach scramblers. 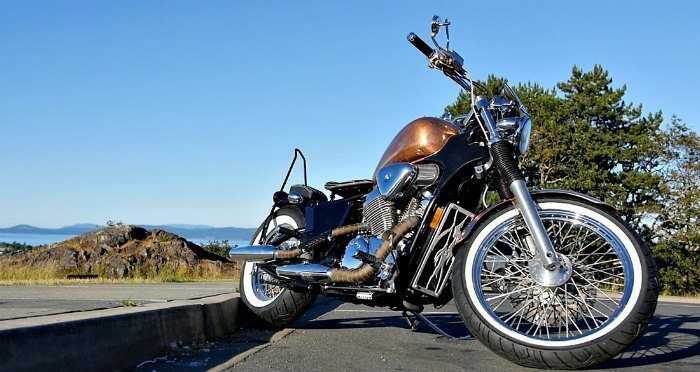 bikerMetric: So what are you guys doing in Canada with Steeltown Garage Co.? 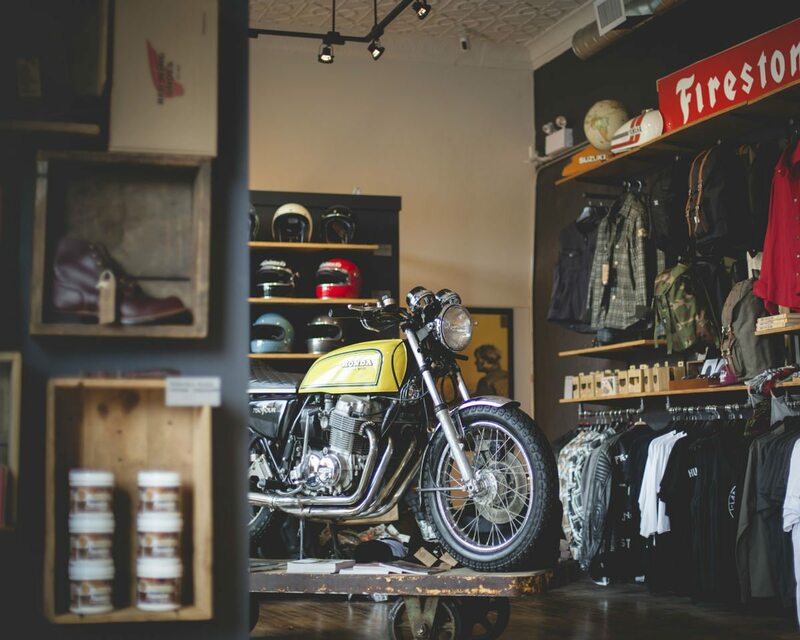 Steeltown Garage Co.: A few months ago, we opened Steeltown Garage Co. at the corner of James St N and Barton St in downtown Hamilton, Ontario, Canada. 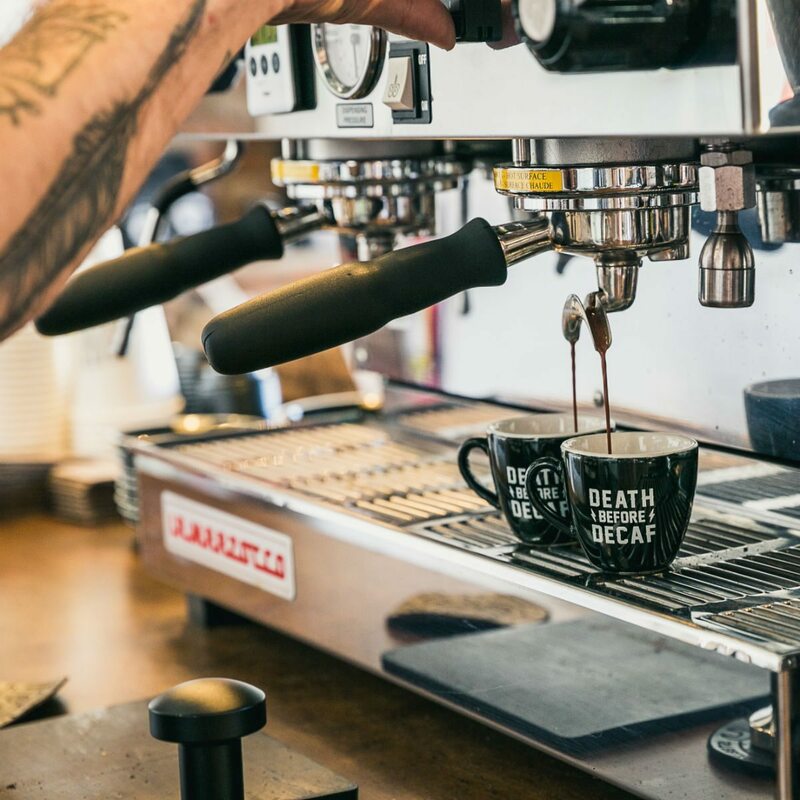 It’s a place for motorcyclists of all kinds to meet up, hang out, buy premium gear, drink great coffee and connect. It’s also a place for people who don’t yet ride to soak up the culture, ask questions and grow more comfortable about throwing a leg over two wheels. bikerMetric: And that trip to Central America was really key to all of this. 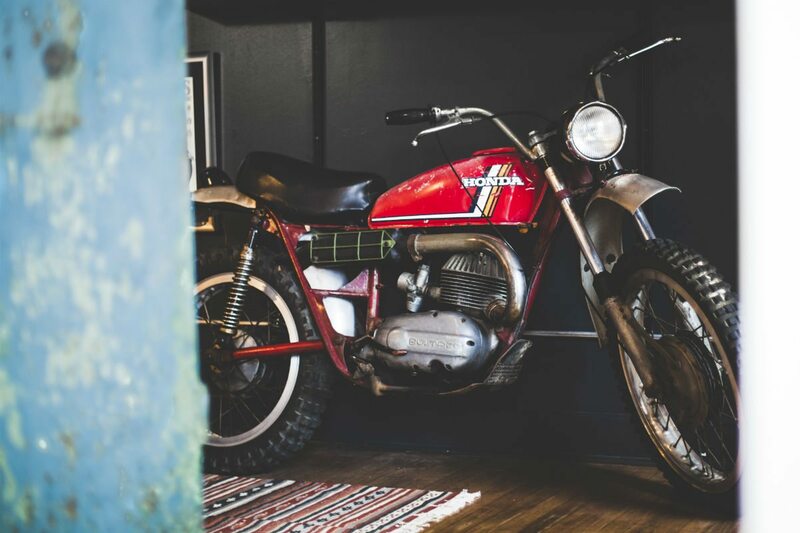 Steeltown Garage Co.: During our travels through Latin America and Europe, we were constantly exposed to cool independent businesses that offered a new take on motorcycles through lifestyle-based retail and coffee culture. There weren’t that many businesses in Canada taking advantage of the trend so it made sense to combine two of our passions (caffeine and gasoline) and open a spot in the great city of Hamilton to not only welcome riders of all sorts but also encourage the next generation of motorcyclists. 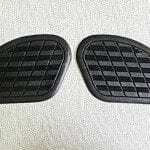 bikerMetric: How’s it been going so far? 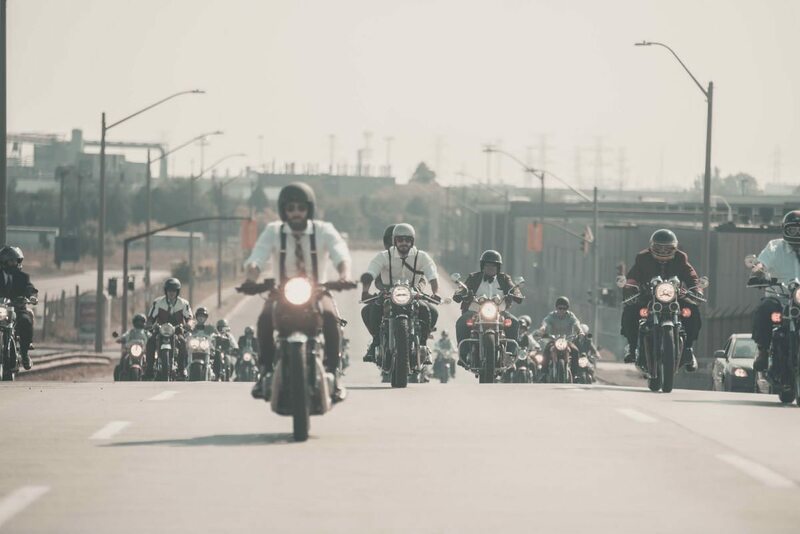 Steeltown Garage Co.: The highlight of the season – apart from actually getting our doors open – was the Distinguished Gentleman’s Ride on September 24th. I rode in the Toronto ride last year, which was a lot of fun, but there’s a whole army of riders out in the Hamilton/Niagara region that either weren’t aware of the event or just couldn’t make it all the way into Toronto for the ride. I reached out to the DGR team in Australia about hosting a ride in Hamilton for the first time. We had 147 riders and raised over $50,000 USD for men’s health. It was a a great day for a great cause. In fact, one of our riders placed 3rd globally for fundraising and won himself a brand new Bonneville! bikerMetric: Raising over $50,000 for charity within months of opening is a proper freakin’ accomplishment. Way to go guys! That’s not the only community event you guys do either, is it? 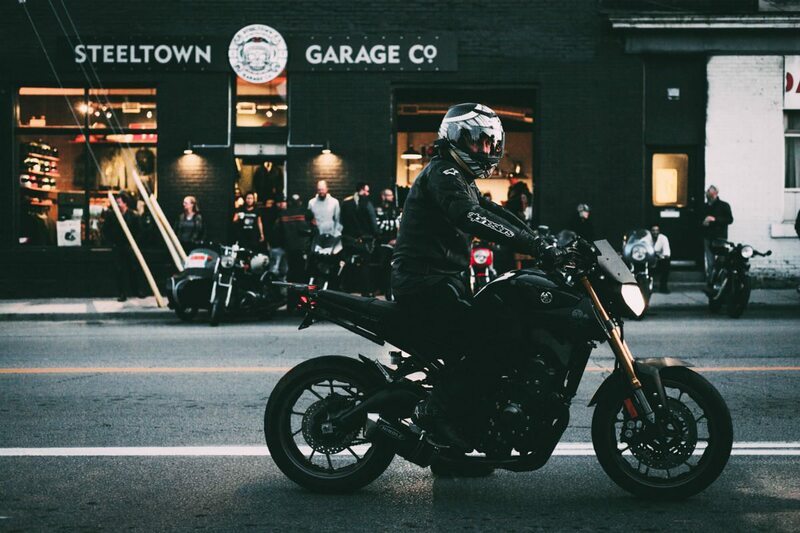 Steeltown Garage Co.: No, our Bike Nights have become really popular, which is very, very cool. Hamilton is a big city with lots of surrounding communities and there was nowhere for motorcyclists to congregate for a very long time. The best options riders had was a dimly-lit Tim Hortons’ parking lot and **** coffee. We started hosting Bike Night every other Thursday and it didn’t take long for word to get out. On our first Bike Night, I think we had 25-30 bikes lined up out front of the shop. 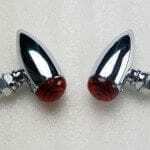 Nowadays, we see over 100 lined up on Barton Street, sometimes stretching down two city blocks. 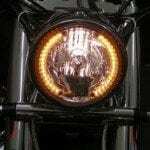 bikerMetric: So how do readers find you? Wondering what else is coming out of Canada? Here’s what’s new from Canadian Builders.